In all of fall's busy wonderfulness, I'm just now getting the chance to share my pictures from homecoming! 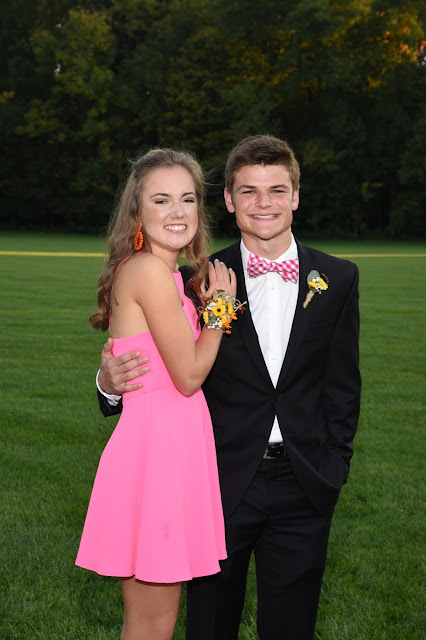 I figured better late than never, mostly because homecoming season is one of my favorite times of the year. I love getting dressed up, seeing all my friends looking flawless, and of course the dance itself. It all went by in the blink of an eye, but luckily I snapped a ton of photos to share. Since I chose a plain dress and I am not a plain girl, I knew I would need some crazy accessories. I ended up wearing these huge orange earrings from Lisi Lerch, and they were perfect! They aren't as heavy as they look, and I loved the pink & orange combo. Combined with my lace-up heels, I was able to create a fun look for the dance. 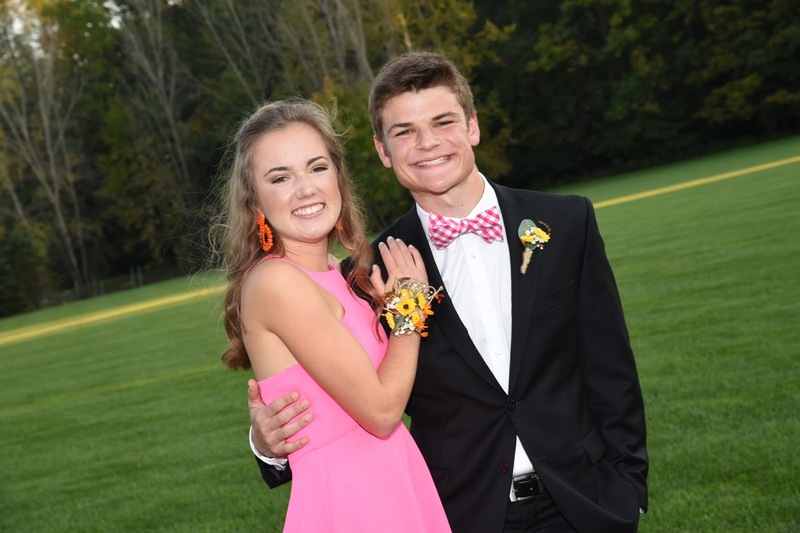 I hope everyone else had fun at their homecoming! Aww love your dress! Looks like so much fun! You look so happy on these photos. Spring homecoming is always a good idea and I was visiting all in my high school. All your ex-classmates are dressed in beautiful dresses and black suits, nice hairstyles and fancy jewelry is everywhere. After such events I like to check rating of edubirdie where they post the most beautiful girls and most promising boys of the year.